Halloween crafts and fun and can be really simple. 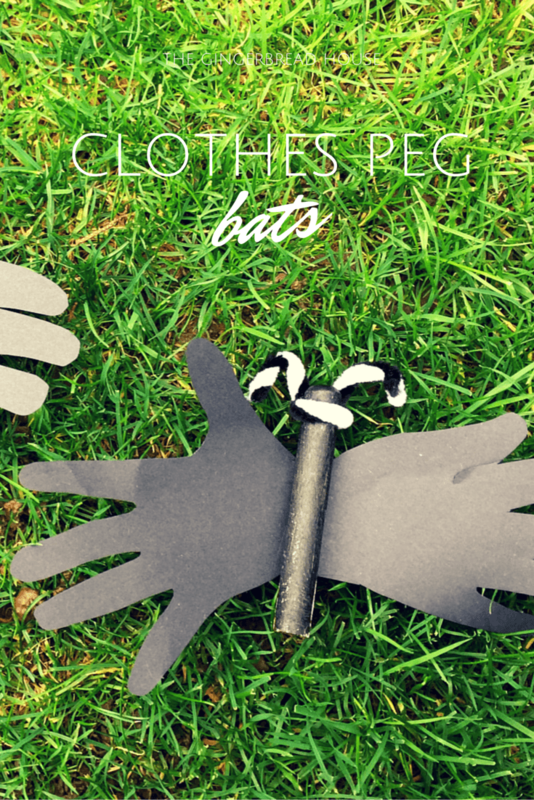 My children are itching to decorate the house so we made some simple clothes peg bats to hang up. Paint the clothes pegs with black acrylic paint and leave to dry. 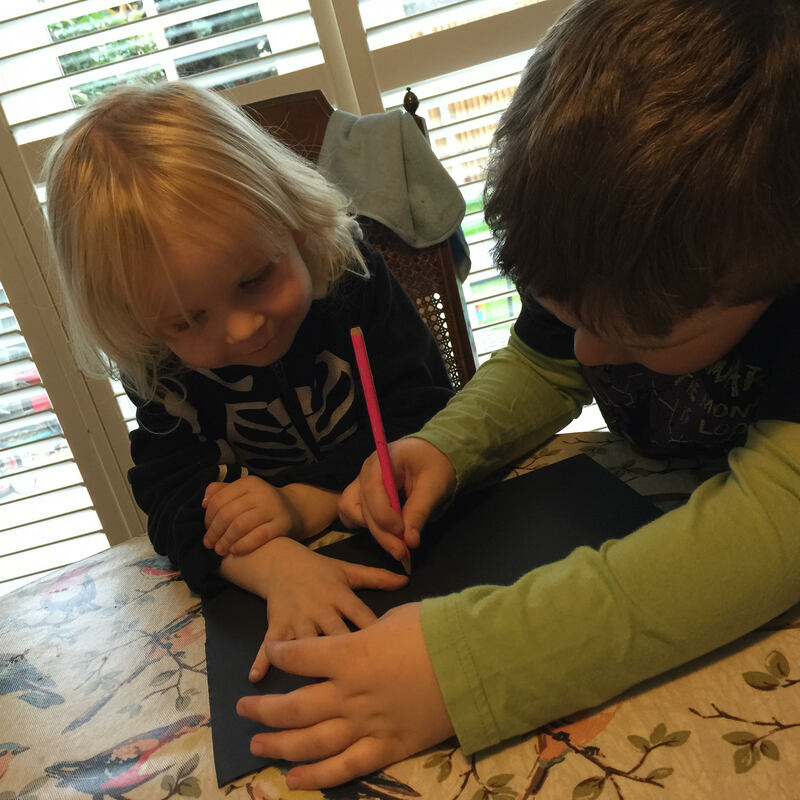 Draw around your child’s hands on black paper and cut out. Tape the two hand shapes together at the wrists and glue the clothes peg in place. Add eyes or ears, we used a pipe cleaner but you could make ears from black felt or paper and glue on. 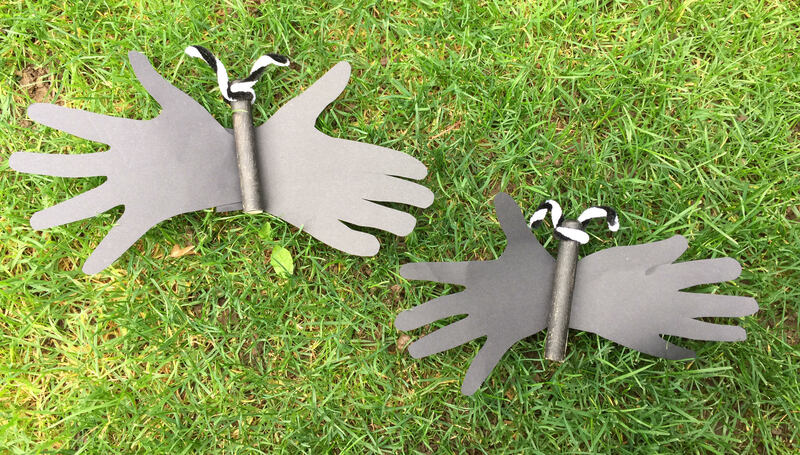 What a lovely creative concept Jenny, I bet this activity kept the kids quiet!! Wow, they look awesome! Definitely need to do these with my niece! Great simple idea. My girls keep asking to make bats, we might give this a go.